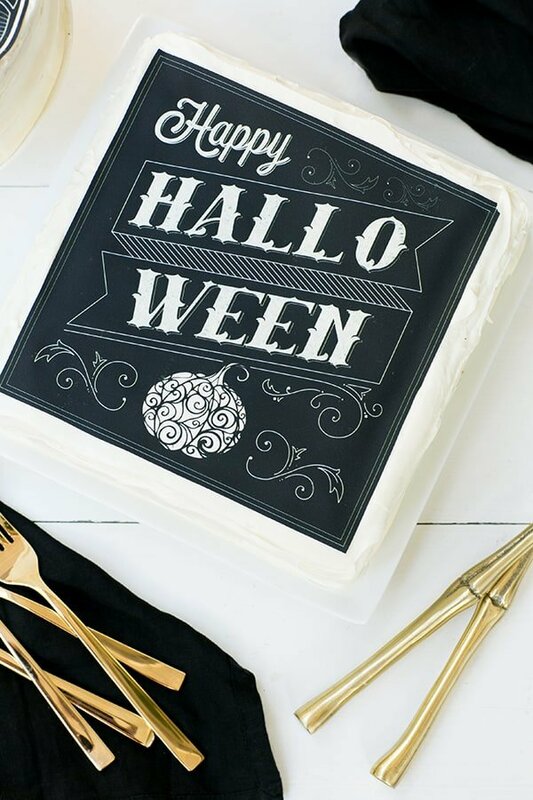 Add some spooky charm to a plain cake with our printable and edible Halloween cake designs!! 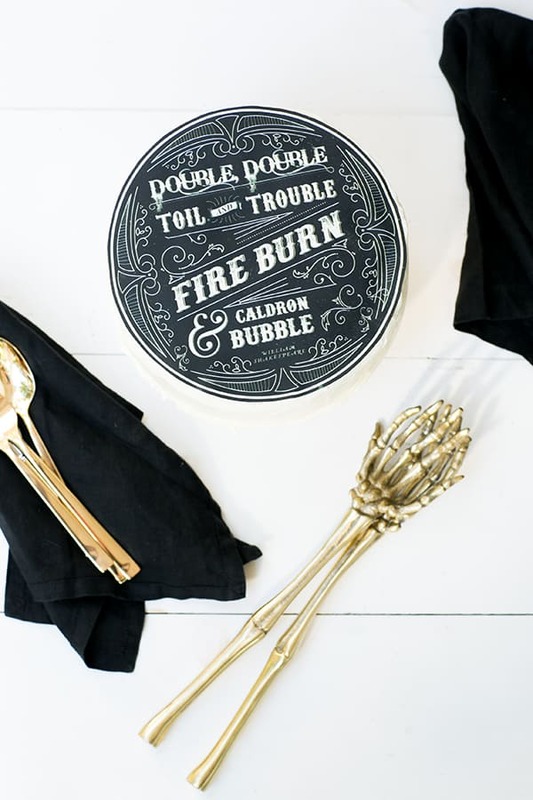 We wanted to create something unique and festive for your Halloween party and these are definitely charming enough to be centerpiece of your dessert table! There are 4 fun designs to choose from and all fit for 8×8 cakes… round or square!! 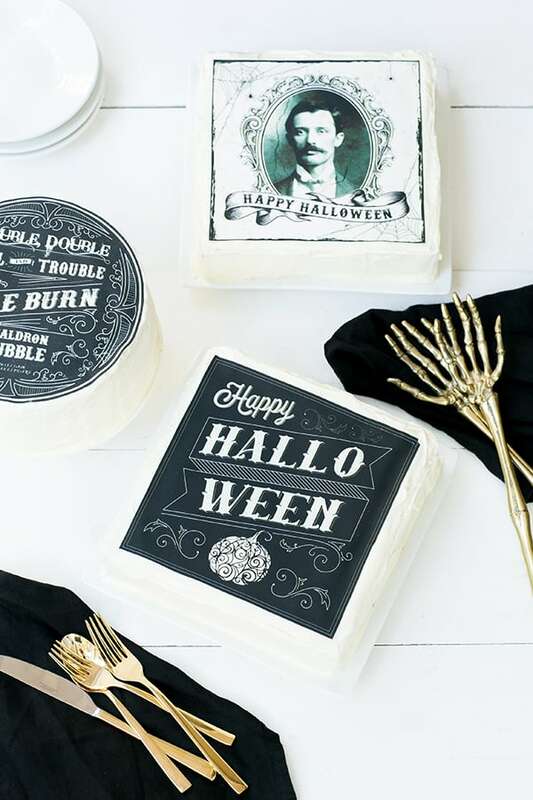 Yes, you can have your charming cake designs AND eat them too! See the how-to below. 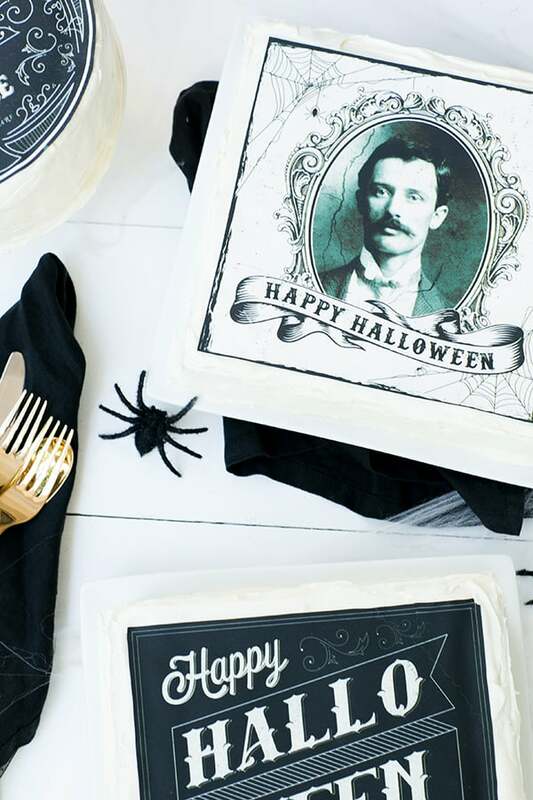 Download your favorite Halloween cake design. Then send it in to be printed on fondant. We used YouCake.com and they had the designs to us within 4 days! If you’re one of the lucky ones and have this printer, you can print your own! 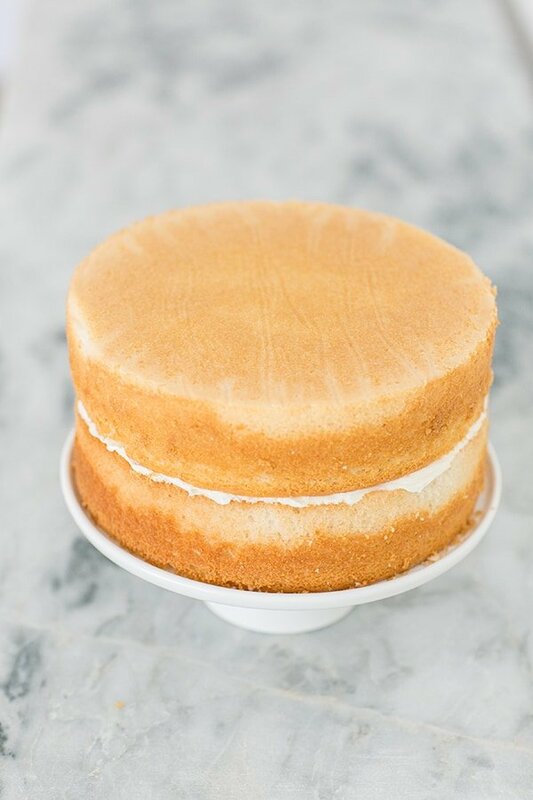 Make your favorite 8×8 square or round cake and frost it. You can then use vanilla or chocolate frosting! Then, gently peel the fondant off the paper (follow the directions in the package) and gently place it on your cake. That’s it!! It will last and look gorgeous (until you cut into it!) throughout your party! Happy Halloween! 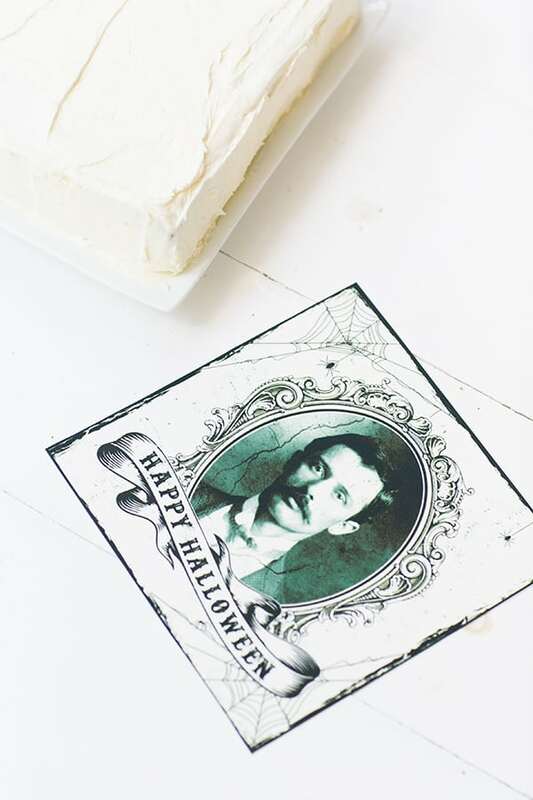 One response to Printable and Edible Halloween Cake Designs! Ha! So cute. I love these designs!